How to Find Competitors Facebook Ads (And Use Them to Your Advantage)! Want to know how to get started to find competitors Facebook ads? But wait, how do I see ads from competitors within my feed? 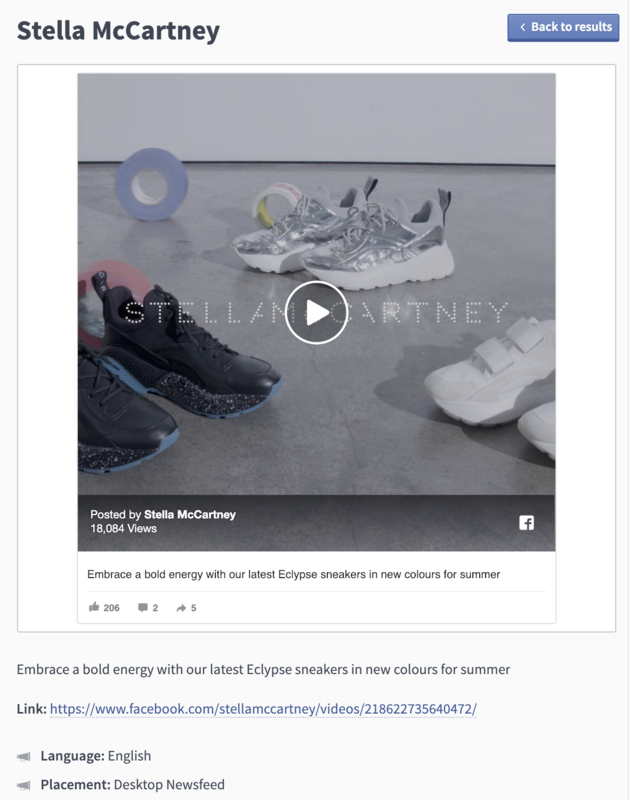 When it comes to crafting an industry leading Facebook ads strategy, it’s important to take stock of how your competitors are using the platform. Understanding your competitor's strategies might sound time-consuming… and I hear you, “research” might not be one of the most fun tasks on your to-do list, but it’s an essential part of any great strategy. This information can help you to enhance your own strategy and create highly-profitable ads. Let me walk you through the best tactics and tools to research your competitors Facebook ads. 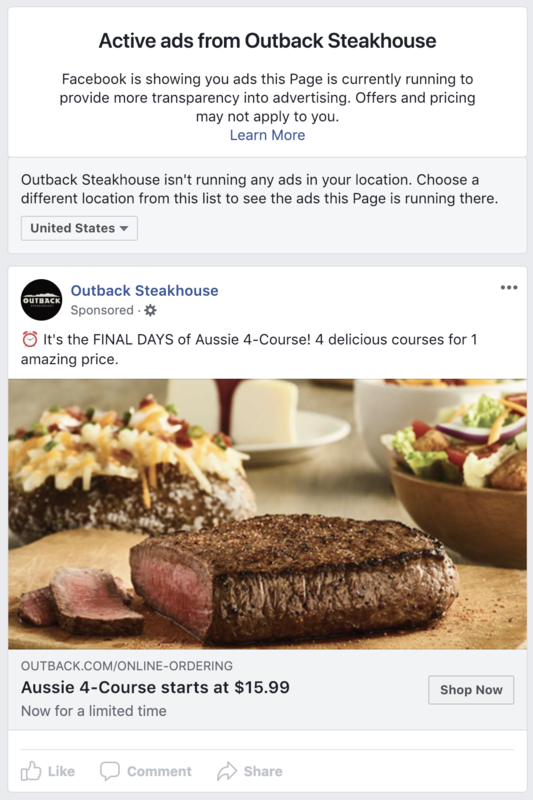 What if I told you can look at every ad your competitors are currently running on Facebook? And as a bonus: What if I said that it takes just a few clicks? 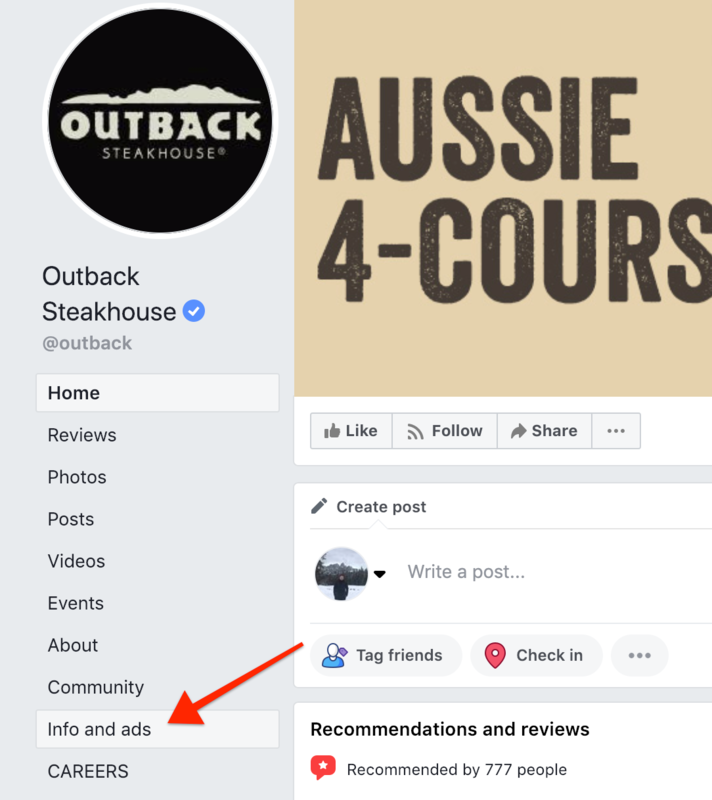 As a way to increase transparency, Facebook allows users to view all ads a Page is currently running via the “Info and Ads” tab. The team at AdEspresso has collected more than 170,000 Facebook ad examples from a range of industries. You can search the database for ads specific to your industry and even search by brand name to single out competitors from within your niche. You can also filter results by placements and objectives if you’re looking for specific types of ads. Once you’ve found an ad that you’re keen to dig deeper into, you can click on it to view an embedded version of the advert, the copy used, and the placement details. Every ad you see on Facebook contains a goldmine of data about how that advertiser is reaching you. To access it, simply click on ‘...’ icon in the top right corner of an advert and click the “Why am I seeing this?” option. Using this simple trick you can start to unravel your competitors Facebook ads targeting strategies. 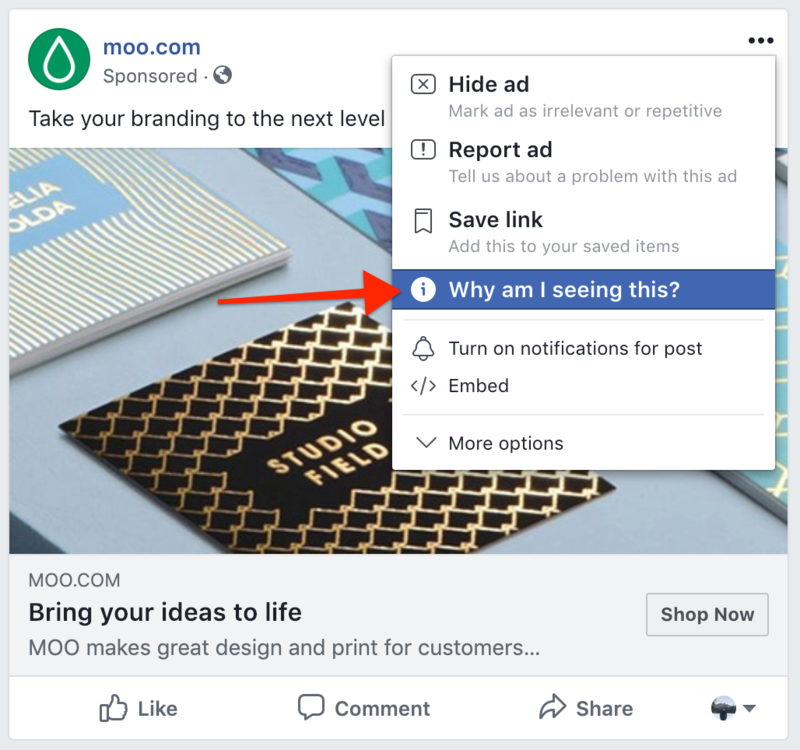 Many advertisers target their ads towards people who already like their Page and this is a good way to send signals to Facebook that you’d like to see content from this brand in your feed. If you also engage with their ads (react, click, comment) when you see them there’s a chance they’ll show up in your feed more often. If you sign up to your competitor's mailing lists, there’s a higher chance you’ll see their ads (if they use this type of targeting), plus you can also keep an eye on their email marketing strategies at the same time. Win-win! Before you start your competitor research, think about what you want to achieve from this work. If you go into research without clear goals, you can waste hours of valuable time gaining insights that won’t benefit your business. Set 1-3 clear goals, and focus your research on those goals specifically. For example, you might want to look at how your competitors are using video ads to boost product awareness. Knowing your goals will enable you to remain laser-focused during your research to ensure you’re not wasting time researching every single detail about every competitor’s ad. 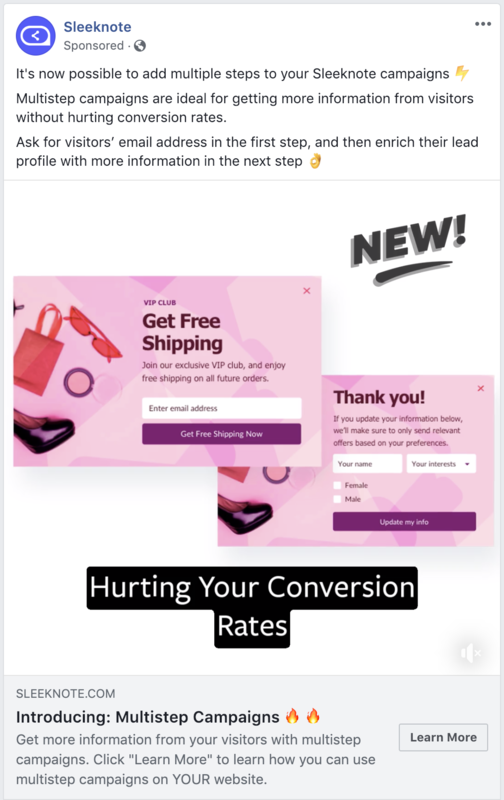 Successful Facebook advertising campaigns revolve around much more than just the ad you put together and publish — the landing page that you drive traffic to also plays a major role in your conversion and success rates. With each ad, you see, ensure you click-through to the landing page and see how your competitors are guiding customers through their funnel to making a purchase. What’s the selling point? Take a look at the main selling point they're focused on across the page, or if it’s an e-commerce product page, look at how they’re describing the product: What language do they use? How do they sell the benefits? Do they have any offers? 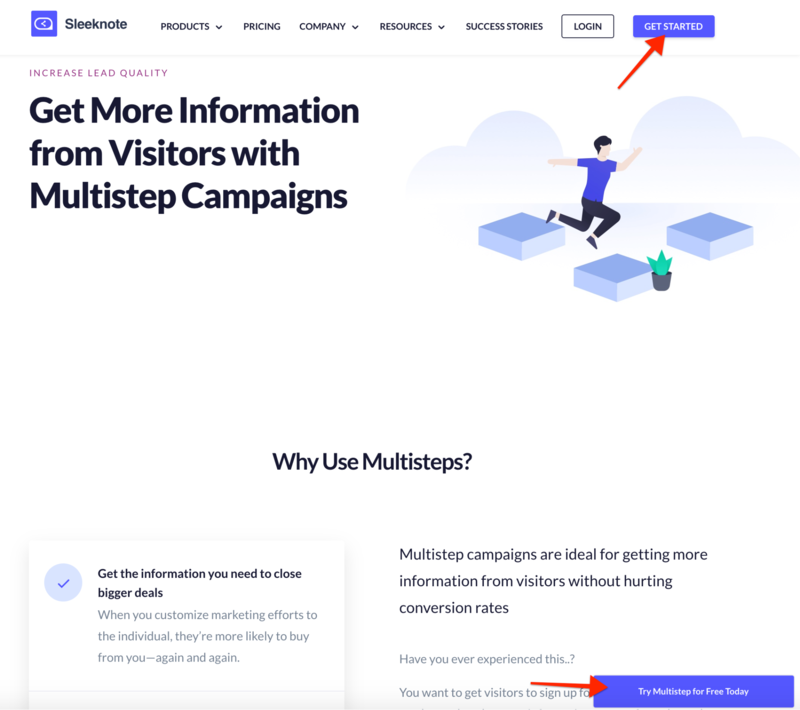 In the above example, Sleeknote is offering a 7-day free trial to customers, and often, ads are followed up with offers to boost conversions. Make a note of any tactics you see here to keep in your arsenal for the future. What are the CTAs? If it’s an e-commerce page, the main CTA might simply be “Buy now”, but for other goods and services you might spot a bunch of variations like “Book a demo”, “Schedule an appointment”. Check out what your competitors end goal if with this funnel. Your research will help you generate a number of hunches about what will work for your business on Facebook ads, but we can’t rely on those entirely. Take what you’ve learned from your competitors and create a number of experiment ideas that you can test. because video ads get more engagement than other ad-types and we’ve seen this work for [competitor]. because we know these people are happy to buy from us, so will be more receptive to sales-focused, bottom-of-the-funnel ads. Use this framework to generate as many ideas as you can come up with — go wild (but aim for at least 20). Remember: sometimes the best ideas are the ones that aren’t so obvious. Once you have a list of ad experiments, prioritize them so that you know where to get started. 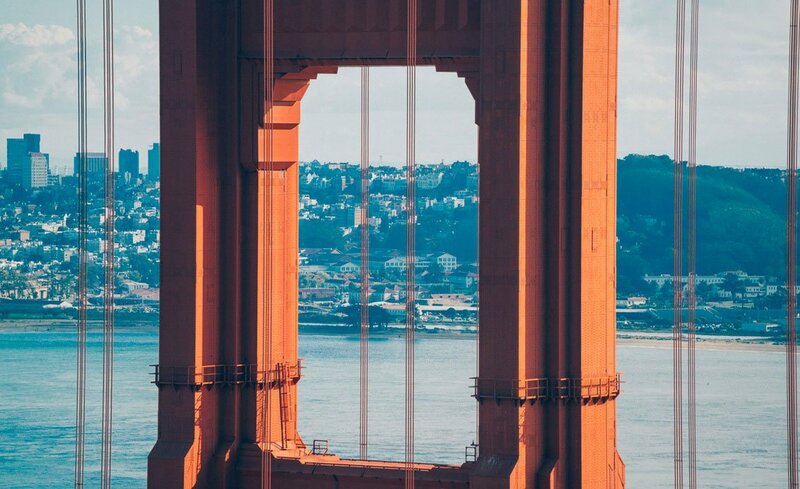 Impact: If this experiment works, how will it impact your business? Confidence: How likely do you think this experiment is to succeed? Ease: How simple will this be to implement? Give every experiment a score out of 10 for each of these categories and the experiments with the highest scores are the ones you should prioritize first. You’re now all set to dive head-first into your competitors Facebook Ads and research what makes them successful (plus where they could improve… no brand is perfect, right?). But remember: What you learn here should just be a guideline to help you formulate your Facebook ads strategy. What works for your competitors, won’t automatically work for you. Use your leanings to generate some ideas and experiments that you can put into action to figure out what works best for your business. And don't forget to subscribe to the newsletter for the exciting posts!